ENA Suite Hotel Namdaemun provides air-conditioned accommodations in Seoul. With free WiFi, this 4-star hotel offers a 24-hour front desk and a business center. Check in was super easy especially with English speaking staff. The room was clean and impressively furnished/decorated! I highly recommend and would stay again if I came back. Also conveniently located to the subway line #2 & 1 as well as Seoul station. RYSE, Autograph Collection is located in the bustling Hongdae district, 984 feet from Exit 9 of Hongik University Subway Station (Line 2, Airport Railroad and Gyeongui-Jungang Line). The staff was so accommodating and anticipated our needs. GLAD Gangnam COEX Center is located next to Exit 1 of Samseong Subway Station (Line 2) and houses a fitness center, lounge and front desk open around the clock. New and clean. Had most accessories. Featuring a garden, Mini Hotel Insa is located in Seoul, an 11-minute walk from Jogyesa Temple. The staff of the hotel is the best I have ever seen, very friendly and helpful. Located in Seoul, a 6-minute walk from Jongmyo Shrine, Makers Hotel has rooms with air conditioning and free WiFi. Location next to the subway station was ideal. Staff was super friendly and helpful. Within a minute stroll from Euljiro1ga Subway Station (Line 2), Small House Big Door offers brightly designed rooms. Free WiFi is accessible throughout the hotel. The location was perfect. Ambiance is cool. ery friendly and helpful staffs. Featuring spacious rooms with neutral colors and free WiFi access, Sunbee Hotel is located just a 5-minute walk from Jonggak Subway Station (Line 1). Staff was super helpful and friendly. Rooms are spacious and very clean. Located in Seoul, an 18-minute walk from Mario Outlet, Hotel Isabelle has a number of amenities including a spa & wellness center and free WiFi. Staff were kind. Spacious and well functioned room. Featuring a garden, Courtyard by Marriott Seoul Botanic Park is located 7.5 mi from Hongik University in Seoul. The breakfast was really good and a big selection with high quality food. Grand opening from September 2018, Lotte Hotel The Executive Tower features accommodations with city views. Complimentary high-speed wired and wireless internet are available. Nice interior decoration, location, super comfortable bed. Westin Chosun Hotel Seoul is a 5-minute walk from the popular Myeongdong and 1148 feet from the City Hall Subway Station. The hotel is really central , just a few meters from the subway , cafes and the shopping area . Located in the popular Myeongdong shopping district, Creto Hotel offers modern guest rooms and free WiFi in all areas. Guests can enjoy soft beverages and light snacks at Nescafé on the ground floor. Friendly & Very helpful Staffs, Good Location, Clean etc. 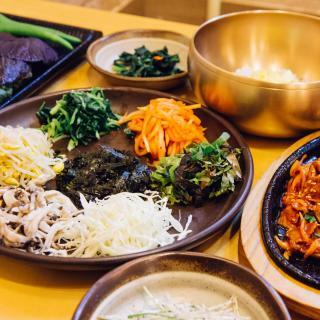 Conveniently located a few minutes’ walk from Exit 9 of Myeongdong Subway Station, L7 Myeongdong features a restaurant and modern air-conditioned rooms with free WiFi access. Basically everything! Decor, service, room. Everything! Located a 4-minute walk away from Exit 1 of Euljiro 1-ga Subway Station (Line 2), A First Myeongdong is 5 minutes away from Seoul City Hall. Everything about this location was perfect. 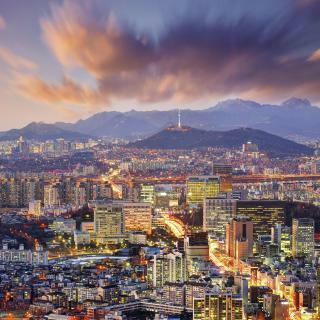 Which neighborhood is the best one to stay at in Seoul? Myeong-dong, Itaewon, and Dongdaemun-Gu are popular with other travelers visiting Seoul. On average, 3-star hotels in Seoul cost £75 per night, and 4-star hotels in Seoul are £101 per night. If you're looking for something really special, a 5-star hotel in Seoul can be found for £228 per night, on average (based on Booking.com prices). Which hotels in Seoul have nice views? Signiel Seoul, The Shilla Seoul, and Tong Tong Petit Hotel got great room view-related reviews from travelers in Seoul. Which hotels in Seoul offer an especially good breakfast? 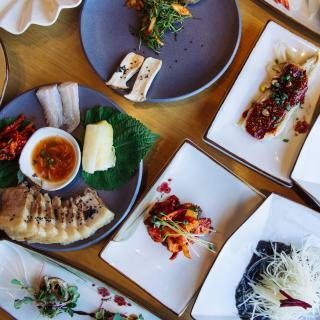 For hotels in Seoul that serve highly-rated breakfasts, try Tong Tong Petit Hotel, Courtyard by Marriott Seoul Botanic Park, and Four Seasons Hotel Seoul. Many families visiting Seoul loved staying at Park Hotel Yeongdeungpo, Seoul, Tong Tong Petit Hotel, and L'Escape Hotel. Which hotels are the best ones to stay at in Seoul? Hotel28 Myeongdong, GLAD Hotel Mapo, and G2 Hotel Myeongdong are some of the popular hotels in Seoul. What are the best hotels in Seoul near Incheon Airport? 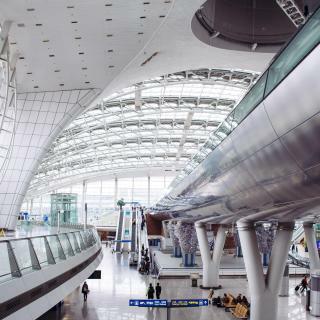 Travelers who stayed in Seoul near Incheon Airport (ICN) have said good things about Incheon Airport Transit Hotel Terminal 1, Grand Hyatt Incheon, and Best Western Premier Incheon Airport Hotel. On average, it costs £59 per night to book a 3-star hotel in Seoul for tonight. You'll pay around £81 if you choose to stay in a 4-star hotel tonight, while a 5-star hotel in Seoul will cost around £248, on average (based on Booking.com prices). The average price per night for a 3-star hotel in Seoul this weekend is £139 or, for a 4-star hotel, £187. Looking for something even fancier? 5-star hotels in Seoul for this weekend cost around £406 per night, on average (based on Booking.com prices). Which hotels in Seoul are good for couples? These hotels in Seoul are highly rated by couples: Park Hotel Yeongdeungpo, Seoul, Tong Tong Petit Hotel, and Courtyard by Marriott Seoul Botanic Park. Korea was the very first place to visit in my bucketlist. Korea was the very first place to visit in my bucketlist. Fell in love with the city specially the palaces and surrounding beauty of nature and tall buildings :). Seoul had variety of food items to eat but for me it was limited to only chicken :( . Being a spicy food lover, i was not that fond of Korean food because of it's sweetness in each and every food item. 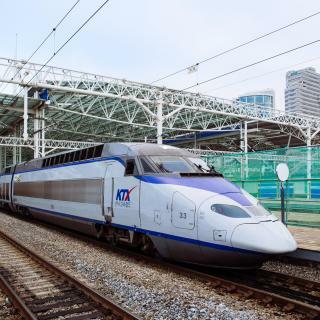 Convenient public transportation and Korean people are very helpful and friendly towards Foreigners so don't hesitate to ask for help from them. Too many attractions to see, got less time to discover them, maybe in near future i'll visit Seoul and will stay there for a longer period. 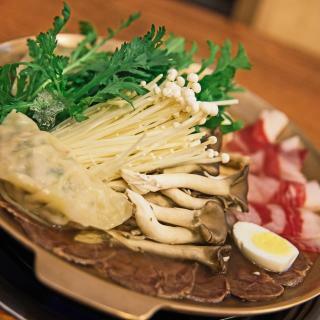 Seoul is worth visiting and one should definately visit Seoul to get to know more about Korean culture, foods and much more. If you are planning on going to Seoul, please stay at Myeong-dong. You won't regret it because it becomes so lively at night. Getting around in Seoul is kinda easy for me as long as you have your T-Money and Naver Maps apps in your phone. Naver Maps basically a life saver there. I love the sic-ddang. It's in Myeong-dong btw. The portion is huge, great taste and price is affordable. At First a little overwhelming but once we figured out how the transportation and orientation, things got easier. We chose to walk to places if it is less than a mile to save time and that worked out good. Enjoyed Hongdae and Seokchonhosu( lake) in Jamsil. Felt very safe walking around at nighttime. 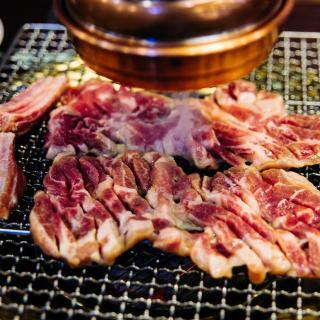 There are so much great shopping available if one needs to... We ate in some BBQ place that specializes in Gopchang(intestines from cows)and it was so good! Loved all the traditional markets and the street foods there as well. We missed the secret garden in Changgyeonggung due to too many crowds. But enjoyed the both palaces there with gardens. Seoul is one of my most favorite Asian cities. Seoul is one of my most favorite Asian cities. There is so much to do there and really cool neighborhoods with their own characteristics and charm. Some of the best food I've ever had, and a pretty convenient and cheap metro. The people are quite friendly and you can see that they love to have fun and enjoy life there. I especially love Itaewon and all it has to offer. I've been to Seoul many times. I've been to Seoul many times. It's such a wonderdul city rich in art, culture, and great food. It's also lively and there are many things to do there. I'm always discovering new places when I go there. A city full of many delicious food till I have no time finish trying all of them . 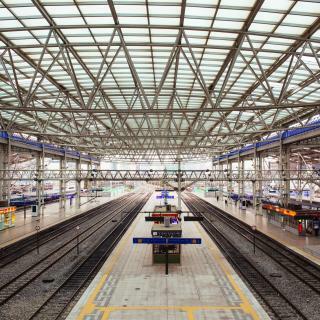 With the Seoul subway you can easily travel to any place you would like to go and its so convenience and is easy to adapt it . There are so much things that you will want to buy and try especially their cosmetic and fashion items is always a trend in the world.